Hi, I am Yiwei Yang! 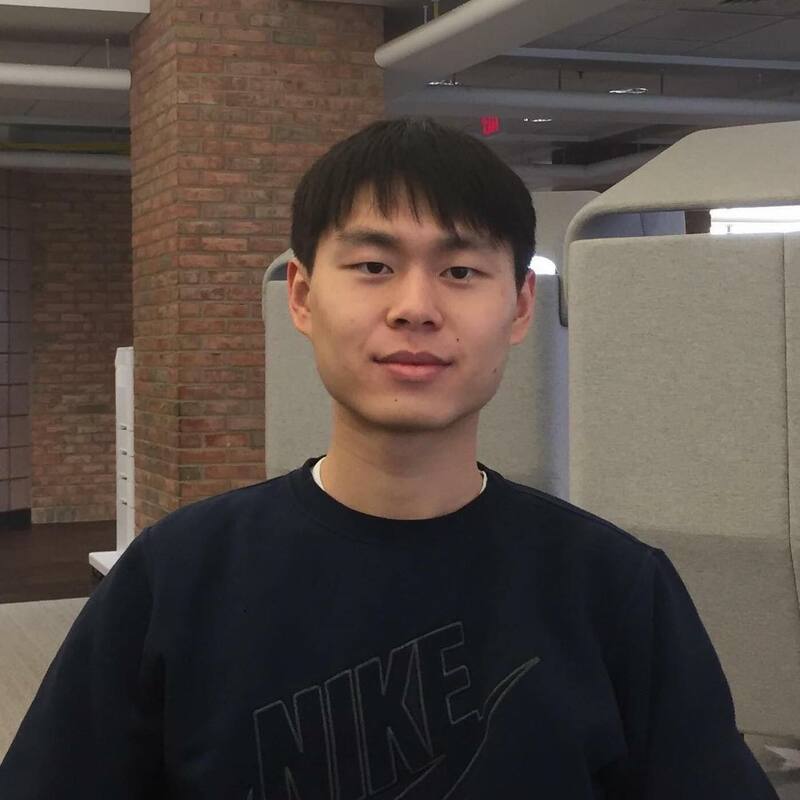 I am a fourth year undergraduate studying Computer Science at the University of Michigan. I am advised by Professor Walter Lasecki and am doing research in the CRO+MA(Crowds+Machines) Lab. My research interest lies broadly at the intersection of HCI and AI. Currently, my research focuses on leveraging human expert knowledge to generalize ML models over unseen data. Mar 2019: I will be presenting my first 1st author paper at IUI 2019 ExSS workshop! S. W. Lee, Y. Yang, S. Yan, Y. Zhang, I. Wong, Z. Yan, M. McGruder, C. M. Homan, W. S. Lasecki. Creating Interactive Behaviors in Early Sketch by Recording and Remixing Crowd Demonstrations. In AAAI Conference on Human Computation Demos (HCOMP 2016), Austin, TX. Y. Chen, S. W. Lee, Y. Xie, Y. Yang, W. S. Lasecki, S. Oney. Codeon: On Demand Software Development Assistance. In Proceedings of the International ACM Conference on Human Factors in Computing Systems (CHI 2017), Denver, USA. H. Kaur, M. Gordon, Y. Yang, J. Teervan, E. Kamar, J. Bigham, W. S. Lasecki. CrowdMask: Using Crowds to Preserve Privacy in Crowd-Powered Systems via Progressive Filtering. In AAAI Conference on Human Computation Demos (HCOMP 2017), Quebec City, CAN. S. W. Lee, Y. Zhang, I. Wong, Y. Yang, S. D. O’Keefe, W. S. Lasecki. SketchExpress: Remixing Animations For More Effective Crowd-Powered Prototyping Of Interactive Interfaces. In Proceedings of the ACM Symposium on User Interface Software and Technology (UIST 2017). Quebec City, Canada. A. Lundgard, Y. Yang, M. L. Foster, W.S. Lasecki. Bolt: Instantaneous Crowdsourcing via Just-in-Time Training. In Proceedings of the ACM Conference on Human Factors in Computing Systems (CHI 2018). Monstral, Canada.